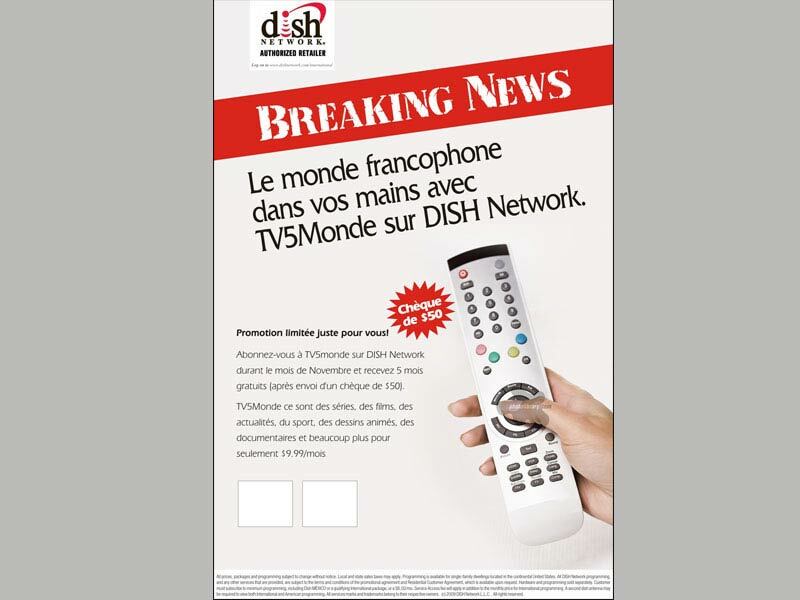 Dish TV- US. 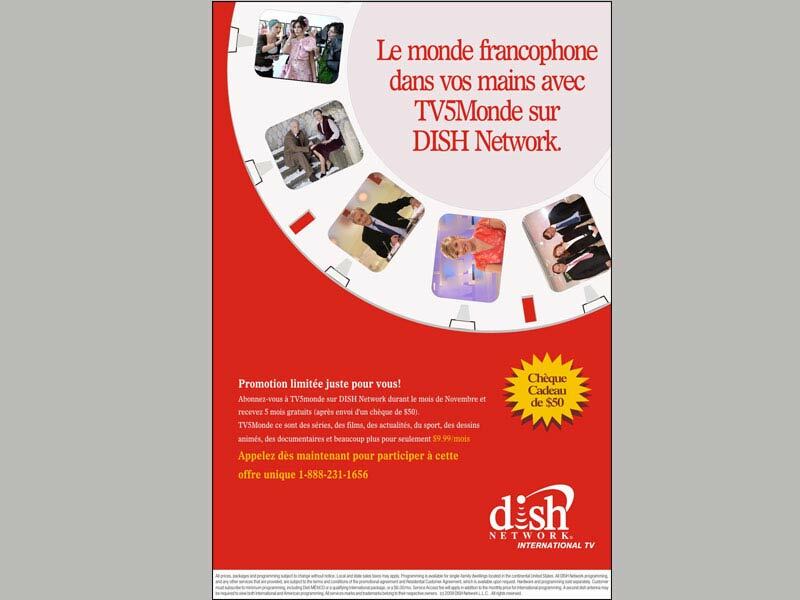 One fine evening, sometime in the morning in the US of A, we get a call asking us if we would be interested in doing some design work for Dish TV. Interested? You got to be kidding was the first reaction! Here was a chance to go global and break the geographical boundaries! But better sense prevailed and we calmly asked what it was all about. 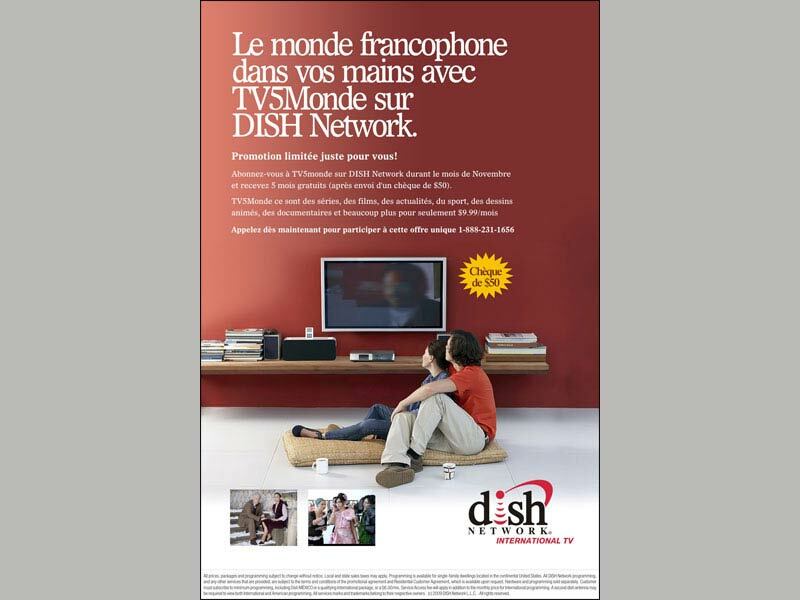 Promoting the Dish TV business in US! Wow! Typically there were long mails, questions of capability, extremely detailed vendor registration forms filled and the first brief arrived. Collateral team was keen to break the time barrier, in the sense, wanted to deliver creative within the working hours, mind you, their working hours. Being a Mumbai based creative agency, that was challenging, but what’s a creative agency that does not want to take up a challenge! Briefs were followed by phone calls, soon large files sent through FTP servers were downloaded, our soft boards resembled a TV channels Fixed Point Chart or FPC! The layouts were being loved by the team back in US! Work started full swing. There were topics on how much we would charge and what would be the charges on images etc., typically expected from any advertising agency. All sorted out and then came the blinder… mailer for a French TV Channel! For the life of us, we had never worked on anything ‘french’… and here was a program that needed promotion and in French language at that! Not the ones to say never, Collateral went to work. As is the strategy in Collateral, we understood the storyline of the program and created the emailer and a poster. Super, came the comment. What followed was the Christmas and New Year campaigns. New programs, new mailers… apparently it worked in the US! As a marketing and strategy-based creative agency, we had accomplished our mission. Somewhere down the line the FPC, in their office changed! People changed! And we stopped getting mails, briefs and in time what was popularly referred to as “What a Dish to serve” stopped serving! That taught us a lesson, in the lifetime of an agency, there will be times when a client just fades out. No explanations, no reasons. The account just moves on, we call them…Gypsies! Nice people, nice work, like the gypsies, they just move on!